During your stay in Italy, you can choose to do your favorite sport or to learn a new one. ymnastics /fitness/yoga, swimming, jogging, tennis, squash, golf, horse riding, cycling etc. Our guides to sporting activities will help you to best organize your free time. Each city offers a truly enormous variety of activities for free time, that absolutely anyone can do. Every month, our schools organize a calendar of cultural events. In this way, you will always be informed about every event, exhibition, concert and film etc. 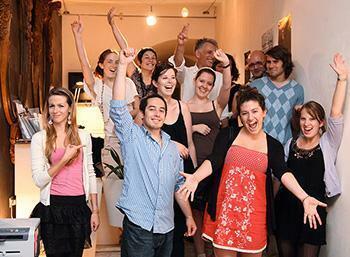 Your stay in Italy will be unforgettable….and not only with regards to your language course!